At iiNet, we work hard to deliver innovative products and customer service. Over the years, we're proud to have received recognition for our innovation. February 2019: iiNet was named Internet Service Provider of the Year in the 2018 Roy Morgan Research Customer Satisfaction Awards. Roy Morgan is the leading independent consumer, industry and market research company in Australia. iiNet’s success is a direct result of the hard work and commitment from everyone in the iiNet team. October 2018: Australia's leading consumer advocacy group has named iiNet as Australia's Best NBN Provider for 2018. According to Choice, iiNet had the highest ratings for both NBN Speed and Customer satisfaction. Your browser doesn't support svg render. May 2018: iiNet has received Canstar Blue's Most Satisfied Customers award for Small Business Broadband for the 5th year running. iiNet scored 5 out of 5 stars for Customer service and was rated highly across the board - Small Business Broadband consumers were surveyed about their Overall satisfaction, Customer service, Value for money, Network performance, Contract clarity and Bill clarity. February 2018: iiNet was delighted to receive a Silver Stevie® Award in the Contact Centre of the Year (Over 100 Seats) - Technology Industries category in the 12th annual Stevie Awards for Sales & Customer Service. This is our first International Stevie Award and we're proud to have our Contact Centre recognised among top performers from around the world. April 2017: Canstar puts iiNet on top for NBN satisfaction. In addition to topping the survey for overall satisfaction, iiNet was the only NBN provider in Canstar’s 2017’s review to score five stars for its customer service and billing clarity. February 2017: iiNet was named Mobile Phone Service Provider of the Year in the 2016 Roy Morgan Research Customer Satisfaction Awards. Roy Morgan Research is Australia’s largest independent research company and one of the most respected in the world, so we're proud to be recognised for our efforts in providing quality mobile services. October 2015: iiNet was recognised for their marketing excellence and received a prestigious 2015 Australian Marketing Institute Award for its Sydney Sixers Sponsorship and Sing For The Sixers campaign. April 2015: iiNet's Customer Service team cemented their spot as one of the world's best after picking up a Bronze for the Customer Service Department of the Year at the 2015 Asia-Pacific Stevie Awards. April 2015: We received further international recognition in early 2015, winning the Global Business Excellence Award for Outstanding Blog for the second year running and the prize for Outstanding Event for our Open Day and iiNet Experience. March 2015: Our Microsoft Lync and Hosted Exchange cloud solution was recognised as a Microsoft Asia Pacific Platinum Partner Winner in 2014. 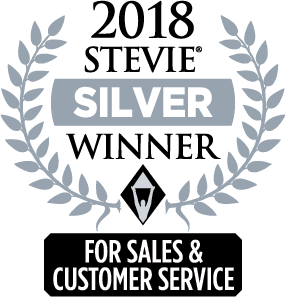 November 2014: Our team shone again on the international stage, winning a Silver Medal at the Contact Centre World Awards for our exemplary Customer Service. Our Work From Home program was recognised as the world’s finest for the second year running, winning the Best Home/Remote Agent award. iiNet also won Multi-Site/Virtual Contact Centre of the Year. June 2014: iiNet picked up two WAITTA awards, winning a Consumer Services award for our new Toolbox service and picking up second place in the Services division. April 2014: iiNet continued its drive to build international recognition with two wins at the celebrated 2014 Asia-Pacific Stevie Awards. iiNet won a silver medal for Customer Service Leader of the Year, and Chief Operating Officer Maryna Fewster won a bronze medal for Woman of the Year - Australia. December 2013: We picked up our first international award for customer service excellence, winning the Large Business Award at the International Service Excellence Awards - and we're stoked about it! December 2013: We were able to end the year on a high thanks to the Lifehacker Awards. We were selected as the Best Home Broadband ISP in both the Readers' Choice and Editor's Pick categories. December 2013: Kotaku awarded iiNet with the title of Reader's Choice Best Broadband Provider, go team! December 2013:iiNet was awarded the Reader's Choice and Editor's Pick awards from Gizmodo for Best Home Broadband ISP for the second year running. November 2013: iiNet picked up the Customer Service Excellence award at the inaugural AIM WA West Business Pinnacle Awards. A $10,000 donation was passed on to the Ronald McDonald House Perth thanks to the win. November 2013: iiNet picked up the gong for the Best Home/Remote Agent category in the Global Contact Centre World Awards. October 2013: iiNet debuted at the 2013 National ATA event in Melbourne and won the Contact Centre of the Year (Perth) the Virtual/Multi Contact Centre of the Year awards. September 2013: iiNet picked up Gold and Silver medals at the Customer Service Council’s Customer Service Excellence Awards. We won Gold for the Large Enterprise or Division of Business category and our awesome iiStore received its first ever award, a Silver! August 2013: The team at Microsoft awarded us the MAPA Award for 'SaaS Hosting Partner of the year' for our Hosted Exchange product which sold almost 4000 mailboxes in just five months. July 2013: The iiNet group scored a hattrick at the ACOMMS awards nabbing the Commitment to Customer Service award (Techii team), Innovation, Large Company award (Internode) and the Partnerships for Growth gong (iiNet and CSIRO). July 2013: iiNet's Melbourne and Perth-based Contact Centres won Contact Centres of the Year (FTE 150 plus), with the Perth team claiming the title for the fifth year running. May 2013: Our Work From Home program won the gong for the Best Home/Remote Agent category in the Contact Centre World Awards, APAC division for the second year in a row. May 2013: iiNet picked up the CeBIT.AU Business Award for Service Distinction for our awesome customer service. June 2013:iiNet received a Merit award at the 22nd Annual WAiTTA Research and Development category for our Budii modem. March 2013: The iiNet group bagged two of the top honours at the Roy Morgan Customer Satisfaction Awards. iiNet picked up the Home Phone Provider of the Year award while Internode won the Home Internet Service Provider of the Year award for the second year in a row. 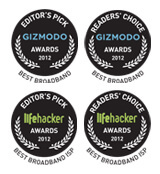 December 2012: iiNet has been voted the best Broadband ISP in the 2012 Lifehacker and Gizmode Awards, taking out both the Reader's choice awards and the Editor's Picks. November 2012:iiNet took home bronze in the Contact Centre World Awards for Best Home / Remote Agent Program. 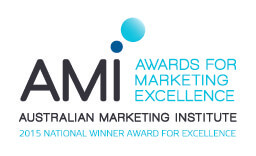 November 2012: iiNet's Xmas SIM campaign was awarded a Bronze Medal at the ADMA awards for the third year in a row. 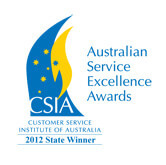 October 2012: iiNet cleaned up at the Annual Customer Service Institute of Australia (CSIA) awards. We not only won the WA Large Business award, but were highly commended for our Work from Home program. October 2012: Internode picked up the ANZIA accolade for launching the first commercially supported IPv6 service in Australia. July 2012: iiNet won the Silver medal for the Large Category in the National Customer Service Excellence Awards, hosted by the Customer Service Council. July 2012: iiNet's Melbourne contact centre won Contact Centre of the Year between 81 FTE and 150 FTE for Victoria at the state chapter Australian Teleservices Association Awards. July 2012 iiNet took home Gold in the Contact Centre World Regional Awards (APAC) for Best Home / Remote Agent Program. January 2012: iiNet's Business Voice and Wireless Bridge were shortlisted in the Western Australian Information Technology and Telecommunications Awards. December 2011: iiNet won Gold for Cheapest International Calls - Best Landline Rates in Money magazine's December 2011 edition. November 2011: After placing in the Top 50 for the Anthill Cool Company Awards, iiNet were named the Big Kahuna and Australia's Coolest Company for 2011. November 2011: iiNet was again announced National Large Business of the Year in the Customer Service Institute of Australia Awards. September 2011: iiNet's research and development division, iiNet Labs, took home the award for Best Telecommunications Initiative at the ARN IT Industry Awards. September 2011:iiNet's New Number Two campaign won the state award for Brand Revitalisation in the Australian Marketing Institute Awards. July 2011: iiNet's Perth VCC took out the state award for Teleservices Centre of the Year for the Australian Teleservices Associations Awards. July 2011: iiNet's partnership with FetchTV sscored a win in the ACOMMS Communications Alliance and CommsDay Award for Partnerships through Growth. March 2011: iiNet and the FetchTv team celebrated a special win at the Australian Telecommunications User Group (ATUG) Gala Awards, adding the 'Innovations in Communications' Award to their trophy cabinets. February 2011: iiNet was shortlisted in the Product category for our FetchTV 2 product in the 2010 Western Australian Information Technology and Telecommunications Awards. January 2011: The Australian PC & Tech Authority Magazine announced iiNet as the winner of Best Wireless Broadband ISP. There were more than 6500 votes in this category and iiNet scored highly for reliability as well as customer support. December 2010: Following on from iiNet's ranking in the Deloitte Technology Fast50, we were also listed in Deloitte's Technology Fast500™ for Asia Pacific. November 2010: iiNet was announced a Finalist in the 'Big Kahuna' category of the Australian Anthill Cool Company Awards. November 2010: At the National Finals of the Australian Direct Marketing Association (ADMA) Awards, iiNet’s Marketing Team was awarded Bronze in the Effectiveness category for their BoB™ rental Direct Mail campaign. November 2010: iiNet was once again listed on the Deloitte Technology Fast50 list and also picks up one of the six inaugural 'Leadership Awards'. November 2010: At the Customer Service Institute of Australia’s Service Excellence Awards, iiNet took home five awards including National Large Business of the Year. September 2010 iiNet's Marketing Team was recognised as a National Finalist at the WA Australian Marketing Institute Awards by being chosen as a National Finalist in the New Product/ Service category. August 2010: iiNet's Sydney contact centre was awarded New South Wales Teleservices Centre of the Year <120 FTE at the state finals of the Australian Teleservices Association Awards. July 2010: At the ACOMMS Communications Alliance and CommsDay Awards iiNet scored the Innovation Large Company award for BoB™. June 2010: iiNet was once again selected as 'runner-up' at the WA Business News Best Employer Awards. March 2010:iiNet was awarded Carrier of the Year in at the Australian Telecommunications Users Group Excellence Awards, and was also highly commended for our innovative 'Work From Home' program. March 2010 iiNet's BoB™ modem was selected as the overall winner in the Product category of the 2009 Western Australian Information Technology and Telecommunications Awards. December 2009: iiNet was announced a three time Gold Winner in Money magazine's Dec 2009 - Jan 2010 issue. We secured Cheapest Broadband Plan - Light User, Cheapest Broadband Plan - Medium User and Cheapest Broadband Plan - Heavy User in the Best of the Best 2010. December 2009: In September 2009 over 17,000 consumers vote in the Australian PC Authority Best Tech Awards - the country's largest tech survey. Results were released in December and iiNet was Highly Commended in the inaugural Wireless Broadband category. October 2009: The Customer Service Institute of Australia (CSIA) awarded iiNet the Australian Service Excellence Award for WA Large Business (Over 500 FTE) and WA Contact Centre of the Year. October 2009: iiNet was named In the Top 20 'Most admired customer service companies' across Australia and New Zealand by International Customer Service Professionals. September 2009: iiNet won two gongs at the 9th Annual Media, Entertainment & Telecommunications Awards, taking home the award for Best Broadband Service (Fixed or Wireless). September 2009: iiNet picked up the Web Marketing Association's WebAward for Best Internet Service Provider Website. August 2009: iiNet picked up the ACOMMS Communications Alliance & CommsDay Award for Commitment to Customer Service. July 2009: iiNet was announced runner-up for the inaugural WA Business News' Best Employers Award (Large Category). July 2009: At the Australian Teleservices Association (ATA) Awards our Perth Contact Centre won Teleservices Centre of the Year Over 120 FTE. 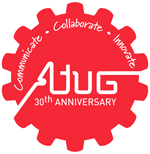 March 2009: After winning in the same category a year prior, iiNet was highly commended and announced as an ATUG Awards finalist for Carrier of the Year. January 2009: iiNet's was announced as a Finalist in the Service Delivery & Training category of the 2008 Western Australian Information Technology and Telecommunications Awards (WAITTA). August 2008: We were listed as a Finalist in the 2008 ACOMMS Communications Alliance & CommsDay Awards in the Industry Leadership Innovation - Large Company category. July 2008: WA Business News named iiNet as WA's Most Improved Brand for the second consecutive year, in their annual brand survey. iiNet also made it into the top five WA's Most Recognised Brands list. July 2008: iiNet were listed as Finalists in the 2008 ATA Awards in the Contact Centre of the Year and Team Leader of the Year categories. March 2008: iiNet won Campaign of the Year and were named as a finalist in the Advertiser of the Year category at Campaign Brief's Oasis ball. March 2008: The Australian Telecommunications User Group awarded iiNet the Carrier of the Year award for its cost effective and efficient services to the Australian broadband community. January 2008: iiNet were announced as Finalists in the WA Industry of Technology and Telecommunications Awards (WAITTA) innovation category. January 2008: The 2007 Product of the Year prize was award to iiNet and their Naked DSL product. September 2007: iiNet was revealed as the winner for the Enterprise category at the Australian Business Awards. April 2007: iiNet topped the scoreboard winning the Genesys Innovative Contact Centre Award scoring the highest possible rating within the Genesys Contact Center Capability Maturity Model. January 2007: iiNet received the award for the PC User Best Broadband Provider in 2006. August 2006: iiNet was named as a Finalist in the Large Company - Innovation category for the SPAN CommsDay Awards. July 2006: iiNet was the winner of the WA Contact Centre of the Year at the Australian Teleservices Association Awards. March 2006: iiNet took out the Telecommunications category at the WAITTA Awards. March 2006: iiNet was a Finalist in the Innovations in Telecommunications category at the Australian Telecommunications Users Group Limited awards.